The first and most important thing are to bring light footwear that slips on and off easily. 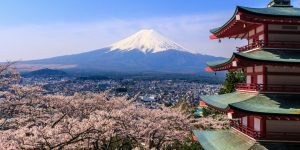 Many locations in Japan that you will want to visit, like traditional inns, temples and restaurants will have a policy that requires you to remove your shoes. Unless you like spending time tying and untying laces, get on am online shopping portal and buy a pair of sandals. The next is to pack light. Japan has amazing mass transit, but none of them are geared for moving large pieces of luggage. These easy-to-use railway networks are optimized for carrying people around so don’t expect to be able to carry anything larger than a small suitcase. If you must take a lot of baggage, use a luggage forwarding service which will move your bags from hotel to hotel. Tipping is not a very common practice in Japan. However, small gifts that are local to you will be appreciated by anyone you care to give them to. Use some of the best online shopping deals to get some small gifts that can be handed over to guides and people you meet. Costbuys provides online shopping discounts and free shipping, to ship products direct to you.